Over four hundred pages long, Genesis: From Creation to Covenant, Rabbi Zvi Grumet’s new book on Sefer Bereshit, is an intimidating book. 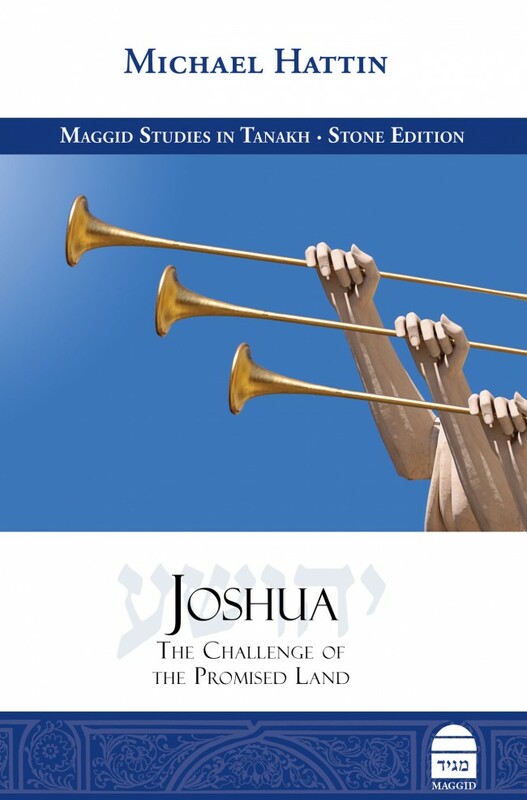 But as I made my way through those four hundred pages, I found each one to be engaging, accessible, and brimming with meaningful interpretations of the Torah. The book is aptly named – Grumet consistently emphasizes the personal creativity and values that God expects from his covenantal partners, from Adam to Yosef. In a broader sense, Grumet’s interpretations are incredibly creative, and are clearly guided by a deep sense of covenant and values. A good example of Grumet’s creativity makes itself known right at the beginning of the book, when he discusses the creation of the world in six days in the first chapter of Bereshit. It’s commonplace for people talking about this chapter to point out that the “days” cannot be days in the way we think of them, because we measure days by the rotation of the earth relative to the sun, something that would have been impossible to do before the fourth “day” of creation. What is less commonplace is people attempting to explain what the Torah actually means by the words “day” and “night,” if they can’t be meant literally. Grumet takes up this challenge with gusto. Thinking deeply about the text, he argues that a “day” designates a productive period, a time when God is creating, while “night” designates an unproductive period. This has the added advantage of sharpening the contrast between the first six “days,” defined by their productivity, and the seventh day, Shabbat, when God refrains from productive labor even during the “day time.” God completes the world on the seventh day by introducing the idea of unproductive time, time when you could create, but don’t. Avraham is a person who will educate his children, and their children after them, “to keep the way of the LORD by doing what is just and right.” He knows that the family unit is the best structure for inculcating values and teaching people how to live a covenantal life. This focus on family defines Avraham’s narratives, from his desperate need for a son, to his fighting a war to save his nephew, to his ensuring that his son marries a suitable bride. God chose Avraham, Grumet argues, because of how Avraham values family. Grumet’s most interesting suggestion, in my opinion, is his understanding of why God criticized Sarah’s laughter, but not Avraham’s. In Bereshit 17, God tells Avraham that Yishmael will not inherit the covenant from Avraham; Sarah, not Hagar, is the covenantal wife, and his heir will be born through her. Caught off guard by the idea of a couple so advanced in age having a child, Avraham laughs at God’s statement, though he does not question it, and God lets this pass without incident. Just a chapter later, Sarah laughs similarly when hearing that she will bear a child, and God interrogates Avraham, asking why Sarah laughed. While traditional commentators have given many explanations for these different reactions, Grumet gives the first answer that I have felt really fits the text. He points out that if they are laughing out of shock and surprise, then it is fine for Avraham to laugh because God is announcing a seemingly impossible piece of information for the first time. When Sarah laughs, however, God is making this announcement for the second time and Sarah should not be surprised. Unless, of course, Avraham didn’t tell Sarah this bit of life-changing news. This is why God interrogates Avraham about Sarah’s laughter, rather than turning to Sarah directly. God is asking Avraham, “Why didn’t you tell her that she is going to bear a son, the heir to the covenant? !” For all his appreciation of family, Avraham doesn’t understand that God has a vested interest not just in his children but also in his spouse—that Sarah has a part in God’s covenant just like Avraham. Getting this message through to Avraham is a process stretching from Bereshit 17 through Bereshit 21, when Avraham sends Hagar and Yishmael away for good. The idea that Avraham has to learn this idea over the course of several smaller stories is part of a larger approach in From Creation to Covenant. Grumet argues that each of the Avot had some flaw or challenge that they learn to overcome throughout their stories. Avraham grows to appreciate the full scope of the covenantal family, but also learns that sometimes family is not the most important part of the covenant (hence Akedat Yitzchak). Yitzchak learns both to be independent from his father and, paradoxically, that he is not meant to innovate anything significant beyond what his father left him. Yaakov has to learn to confront people honestly, rather than deceiving and evading them. Yehudah needs to learn about family and responsibility while Yosef struggles with arrogance and attributing his successes to God. The enthusiasm with which Grumet explores the flaws and development of the Avot is a double-edged sword. It makes the Avot much more relatable to the reader—these rich characters struggle with the same things that we do. It also highlights the specific covenantal values that God works to inculcate in each figure, making it clear exactly what the reader should take away with them. However, depicting the Avot as flawed characters may be a step too far for some readers. Grumet is careful to point out where he has support from traditional commentators, but he definitely goes beyond them in some cases. Each reader will have to decide for himself if humanizing the Avot profanes them, or allows us to really see the holiness of God’s covenantal, educational, process. Taken as a whole, Genesis: From Creation to Covenant is a brilliant and accessible work. Its reader will gain a cohesive understanding of Sefer Bereshit, from “In the beginning” to Yosef’s parting words. Weaving such a comprehensive tapestry clearly required immense dedication and creativity (at times perhaps risking a bit too much of the latter), and Grumet is to be commended for this impressive work.